Daffodil Month is a national fundraising campaign for the Canadian Cancer Society. During April, Society volunteers raise vital funds for the fight against cancer. Money raised during Daffodil Month helps local patients living with cancer and their families. Donations fund life-saving research, support services and other important work that means fewer Canadians will be touched by the disease. Every three minutes, another Canadian will hear the words “you have cancer” for the first time, and the Canadian Cancer Society wants them to know that they are not alone. 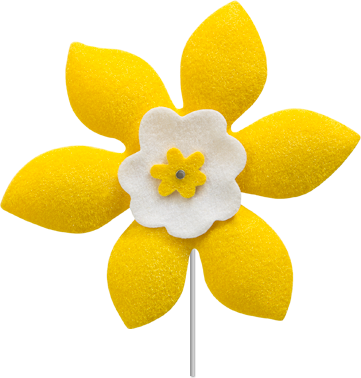 During Daffodil Month, and especially on Daffodil Day (April 27), the Canadian Cancer Society is asking Canadians to join the fight against cancer by making a donation to support its work throughout Canada and to proudly wear a daffodil pin as a symbol of support for people living with cancer. Daffodil Day on April 27 helps wrap up the campaign by designating a special day where Canadians can take a moment to reflect upon the thousands of people who are on a cancer journey and also to remember those who have died. Tell a loved one or friend with cancer that you are thinking of them; let them know about the Society’s information and support programs. Do something special for someone you know who has cancer. For example, make a meal, drive them to an appointment, or babysit. Sign up as a volunteer with the Canadian Cancer Society and see how you can make a difference. Join a Relay For Life team or sponsor somebody who is participating.